IST'2009 is the third edition of an annual series of symposiums that bring together the Estonian software technology community and a line-up of international speakers. The symposium deliberately mixes the academic and industry viewpoints with the aim of creating stronger bridges between these communities. 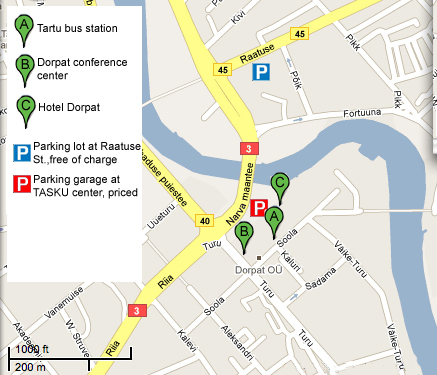 The event is organized by the Institute of Computer Science of University of Tartu, the Estonian Center of Excellence in Computer Science and the Software Technology and Applications Competence Centre. Participation in the symposium is free of charge, but registration is required. The symposium gathered over 80 participants, 50% from industry and 50% from academia. Slides and screencasts have now been posted. A picture gallery is available here.